The State of West Virginia, through the Division of Natural Resources, holds title to certain lands and mineral resources in the state. The Division of Natural Resources administers and manages those lands to provide for the conservation, development, protection, enjoyment and use of the state's natural resources by its citizens and visitors. 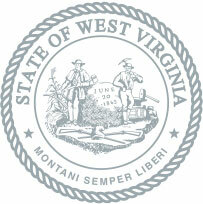 West Virginia law permits the Division of Natural Resources to lease coal, oil, gas, sand, gravel and any other minerals under its control and management for responsible development and production. However, the Division must employ a competitive bidding process before entering into an arrangement to lease minerals subject to its control. This website is designed to be a resource for the public to learn about state laws related to the development of the state's minerals and as a tool for those interested in exploring for or developing these minerals. It also provides a means of notifying the Division of Natural Resources of that interest. Department of Commerce and not to be reproduced without written permission.